Institutions now have a new means at their disposal to aid them in assessing their research data management initiatives, the Evaluating RDM Tool. A collaborative creation, the tool was developed using the SPARC Europe How Open is Your Research service and the Digital Curation Centre’s RISE Framework. As for how it works, users are invited to answer a selection of questions. 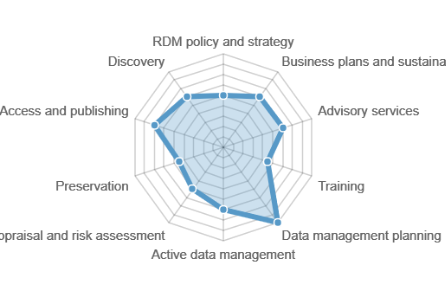 Based on their responses, three downloadable radar charts are generated providing insights into: the breadth or range of RDM services provided by the institution; the degree to which RDM services are being tailored to specific users; and lastly, whether or not the initiatives are “sector leading”. The tool is free to use. Any question regarding its use may be directed to info@sparceurope.org.